As we know racial tensions in America are higher than ever since the shooting deaths of black teens by police officers. Its nice to see a story for the good of what officers do. So we decided to share it with you. As if a Police Officers Job isn’t hard enough. Now there are huge hate groups for them to be weary of. The Black Lives Matter movement that started as a small counter protest has now grown leaps and bounds and is fueled by hate. It is only a matter of time before these “protesters” shift their focus to just hating white police officers and push their anger on black officers too. 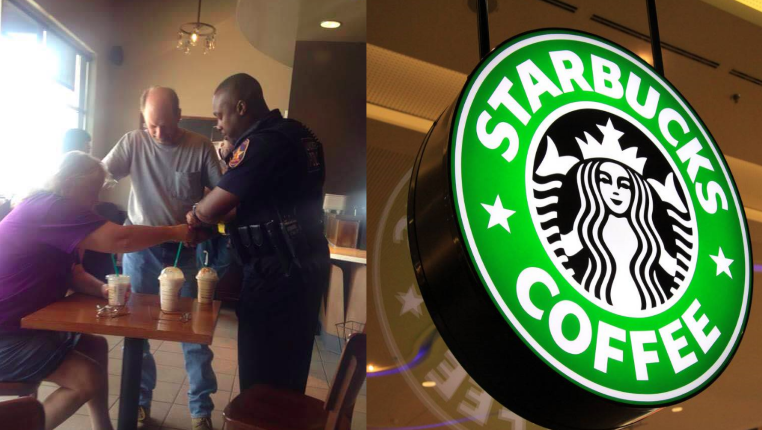 Though this story could have gone the wrong way it didn’t, and your faith in humanity may be restored. 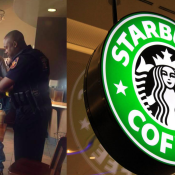 When the officer was grabbing a quick cup of coffee before work a couple stopped him and asked if they could do the unthinkable by asking if they could pray for his safety.